The Woodward Public Library has a variety of materials, in a variety of formats, available to all persons on an equal basis. The library promotes the use of new technologies throughout its facilities and, in doing so, supports the library’s mission of providing greater opportunities for the public to access information and entertainment materials cost effectively. In order to provide for efficient and equitable circulation of materials, the library sets the following policies regarding borrowing eligibility: loan limits for various materials, limits on the number of items that can be checked out, renewals, reserves, interlibrary loan, overdue charges on library materials, and damage and replacement assessments. The library utilizes an integrated automated circulation system to maintain, monitor, and report circulation statistics, overdue notices, billings and balances, user registration records, and inventory control. To provide equal access to informational, educational, cultural, and recreational library materials and services in a variety of formats and technologies. To be responsive to the public library needs of the community. To provide a welcoming atmosphere through a highly trained team of individuals committed to quality service. The registration process qualifies a customer to have access to the library’s collections. Any person who lives, works, attends school, or owns property in Woodward County may apply for a library card at no charge. All applicants must provide photo identification and 1 form of identification verifying current physical address. A post office box, hotel, or motel address will not be accepted as proof of residency. Verification of employment, property ownership, or school attendance will also be required if current address is not in Woodward County. Customers are encouraged to include their email address with registration to receive notification of reserves and overdues via email. A customer shall only have one library card. Library cards are valid for one year from the date issued. At the end of that year, customers will be asked to verify their current address by showing current identification. Customers may show current identification on their next subsequent visit to the library. Library cards that have not been updated within three years of its expiration will be removed from the library’s database. Unless married or legally emancipated, a parent, a guardian, or a legal caregiver, and the applicant must be present at the time of application. Verification of current physical address and the signature of a parent, a guardian, or a legal caregiver are required. There is no minimum age limit to obtain a child’s library card. A parent, guardian, or legal caregiver is legally responsible and shall have access to their child’s card and records. Upon reaching the age of 18, the customer must update his or her information. Customers who live outside Woodward County and do not work, attend school, or own property in Woodward County are considered non-residents and must pay a fee to obtain a library card. The fee per family is $15.00 for one year. A card will be issued for each immediate family member residing in the same household. An institutional or educator’s card is available for any agency, company, or organization located in Woodward County and educators; educators, being defined as teachers from public and private schools, home schools, day care centers, and preschools. Proof of employment or affiliation is required. Verification of continued employment or affiliation will be required to renew an expired institutional/educator’s card. An institutional or educator’s card must be presented when borrowing library items. A limit of 20 items may be checked out for a period of 31 days. The items are not available for renewal. Only three DVDs shall be checked out at one time and are only checked out for a one week period. In the case of group cards, the library assumes that the person presenting the card is authorized to use it; circulation information will be released to the bearer. The Woodward Public Library reserves the right to limit numbers of items and shorten loan periods for seasonal, special displays, school assignments, and high-demand material. The card shall not be used as a personal library card. The initial library card is free of charge. There is a $1.00 charge for a lost card. There is no charge to renew an expired card, for replacing a card due to normal wear, change of address, or legal name change. A replacement card for a child under the age 18 will require the presence of a parent, a guardian, or a legal caregiver. It is the customer’s responsibility for all use made of his or her library card. By signing the application form, it is the cardholder’s responsibility to inform the library of lost or stolen cards and change of address. The library is not responsible for the consequences of failing to notify the library of such changes. All items checked out, all fines incurred on a customer’s library card, or restitution charges for lost or damaged material are the responsibility of the cardholder. Most library customers may have a total of eight items checked out on their library card, three of which can be DVDs. A first-time library customer is limited to two items per card. On the return of those items, the customer will have full privileges. Exceptions may be made for reference material if, in the judgment of the director or assistant director, it is necessary to take the material out of the library. A non-refundable deposit of $20.00 and a phone number will be required. Loan periods and limitations by subject and format are set by the Woodward Public Library with the support of the library’s board of directors and the City of Woodward. Materials may be renewed in person or by telephone; a library card number, name, and month and day of customer’s birth date must be supplied. Materials may also be renewed through the library’s online catalog. For an additional check-out period, library materials may be renewed twice. Interlibrary loan materials may be renewed only once for a period of seven days. Longer renewal periods require the consent of the lending institution. See the Interlibrary Loan Policy. Library materials which are checked out may be placed on hold or reserve. 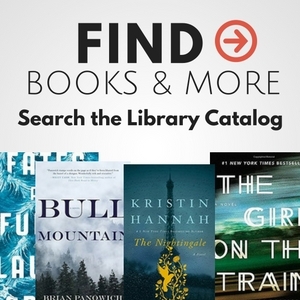 Customers may place holds in person, by telephone, and via the library’s on-line catalog on the Woodward Public Library’s website. A maximum of 2 holds may be placed on a customer’s library card. Customers will be notified by telephone, email, or United States mail that the held item is available for pickup. Requested items will be held up to 3 days at the main circulation desk. The Woodward Public Library reserves the right to determine if an item may or may not be placed on reserve. Reserves are not accepted for customers who have overdue items on their account. All customers with a valid library card may use the interlibrary loan service. A customer may have no more than five interlibrary loan requests active at one time. Customers are responsible for all charges incurred with an ILL request such as postage, photocopy charges, overdue charges, charges associated with lost or damaged items, etc. See the Interlibrary Loan Policy. A fine will accrue for each item that is not returned by the due date. An item is considered overdue if not returned by the time the library closes. Overdue charges do not accrue the days that the library is closed. A customer’s borrowing privileges will be suspended if he/she has $10.00 or more in outstanding charges. Installment payments of accumulated fines and bills will be accepted. The maximum fine for any one item is the cost of the item; except for DVDs and CDs, the maximum fine is $10.00 per item. Fines and outstanding charges will be brought to a customer’s attention at the checkout desk. The library does not mail notices for fines incurred. Library staff shall attempt to collect fines according to policy; however, staff members are urged to use discretion in unusual situations. See Policy on Waiving Fines and Restoring Borrowing Privileges Fine charges for all library material are set by the library with the support of the Woodward Public Library Board of Directors and the City of Woodward. Charges for lost or damaged items include the replacement cost plus a $5.00 non-refundable processing fee. Installment payments will be accepted. 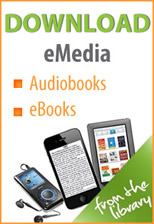 The library does not accept a replacement copy of a lost or damaged item in lieu of payment. Overdue charges for lost or damaged items are waived when the customer pays the replacement cost of those items. If a customer does not return an item within 12 months of the due date, the item will be declared “lost” and the customer will be charged for the price of the item plus the $5.00 processing fee. If a lost item is subsequently found, the customer will not be refunded. The item becomes the property of the customer who paid for it. A customer who claims to have returned or did not check out that item is not responsible for fines or lost charges on that item. Return claims will be tracked on a customer’s card. The library will not be responsible for any damage a library item might cause to the borrower’s personal equipment. Lost or damaged charges for all library material are set by the library with the support of the Woodward Public Library Board of Directors and the City of Woodward. As a courtesy to customers, the Woodward Public Library will notify cardholders regarding the overdue status of library materials in their care as well as overdue fines and/or replacement charges pending as a result of their library usage. First Notice (7 days overdue): Notice informing customers of their overdue items. Second Notice (14 days overdue): Notice with an estimated cost of overdue items. Bill Notice (21 days overdue): Notice that includes a copy of the library theft law and estimated cost of overdue items. A customer with overdue library material. A customer who claims to have returned items that are deemed lost on three separate occasions will be required to pay for lost items that are currently checked out in their name. Borrowing privileges will be reinstated once the lost items are paid for. A customer with outstanding library charges of 5.00 or more. An insufficient check that is not paid after customer notification. A customer whose borrowing privileges are suspended may not use another customer’s library card to check out library material. Oklahoma law protects the confidentiality of library users’ records. Customers may ask for access to their own record; however, other individuals may not inspect a customer’s record except with the customer’s authorization or by order of a court of law. Parents of minor children under the age of 18 may have access to their child’s record. Oklahoma Statute 1040.75 defines a juvenile as an unmarried person less than 18 years of age. The Woodward Public Library supports the American Library Association’s Library Bill of Rights, Freedom to Read Statement, Freedom to View Statement, Statement on Labeling, and Intellectual Freedom Statement. See Customer Confidentiality Policy. The signature of a parent, a guardian, or a legal caregiver acknowledges responsibility for library materials checked out to the child. It is the policy of the library not to act in loco parentis in keeping with the principles of equal access to information and materials for all customers. Therefore, the library will not restrict any customer, including children, from access to any type or class of materials or from any information in the library. If a parent, a guardian, or a legal caregiver does not wish his/her child to have access to particular materials, they will need to discuss the restrictions with the child in the context of their parent-child relationship. If a parent, a guardian, or a legal caregiver wishes to withdraw the acknowledgement of responsibility from his/her child’s card, the library staff will deactivate the child’s record so that no materials may be checked out to that card. The child’s access to the library’s collection is then available only through the parent, guardian, or legal caregiver’s library card. The Woodward Public Library with the support of its board of directors is authorized to amend or revise this policy as deemed necessary. Adopted April 2009.